**Guest Speaker is Vesper Moore from The Kiva Center, Central Mass Recovery Learning Community (RLC) will be talking about the agency’s programs and services. The RLC’s main focus is on promoting wellness and resilience through mutual support. They believe in every person’s right to mental health and their ability to achieve it. 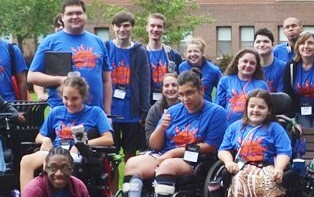 abilities in 60 residential, employment, and day programs throughout MA. Most Youth Leadership Network meetings feature fun, hands-on activities and interactive discussions about communication, teamwork, community service, disability rights, career interests and employment skills.